Checked out 3 local weather forecasts + I have no clue how much snow Madison is supposed to get Tues PM thru Wed.
Ready to bring it again tonight?! Getting shots up. #PSUMBB at No. 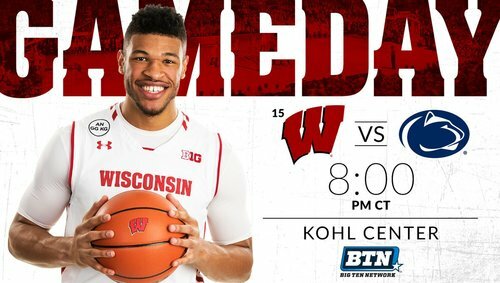 15 Wisconsin at 9PM ET on @BigTenNetwork . Bronson and Ethan getting loose. 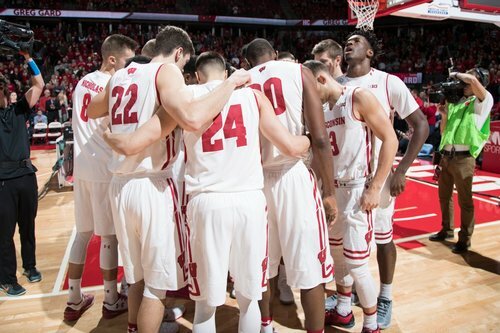 #Badgers and Penn State tip at 8pm CT on @BigTenNetwork . 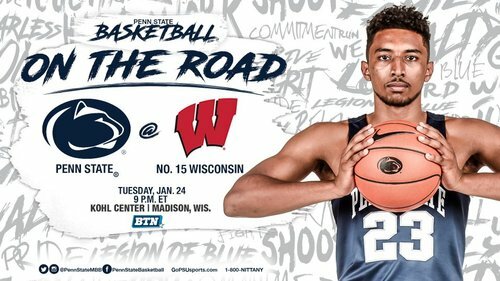 Officials for #Badgers -Penn State, which tips in about an hour: Terry Oglesby, Eric Curry and, wait for it, Ted Valentine. 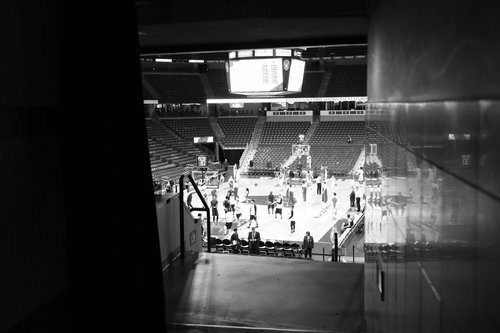 Louisville 90, PItt 37. We have 7:14 left. That is all. ???? @BronsonK_24 looks ready to roll. ???? Here come the #Badgers . Wisconsin and Penn State just about ready to tip things off over on @BigTenNetwork . Maryland about to take down Rutgers to improve to 6-1 in B1G. #Badgers must win to keep pace. Final from Pitt: Panthers 51, Louisville 106. Don't think the home team covered. Penn State is 0-17 vs. #Badgers in Madison, including 0-14 at the KC. "Energy, effort, toughness. Let's send them a message that they're in for a battle." MSU falls to home to Purdue. Spartans are now 4-4 in the B1G and 12-9 overall. Oh boy. Keep all sharp objects and firearms away from @MeganLewis11 . Kansas is going down. 52nd straight sellout is underway at the Kohl Center - #Badgers win the tip! First possession UW goes into Ethan Happ in the low post. He misses a shot, gets an offensive rebound, draws a foul and goes 2-for-2..
Happ at the line... splash, splash. Tony Carr with the first five points for #PSUMBB , who trail UW 7-5 early. 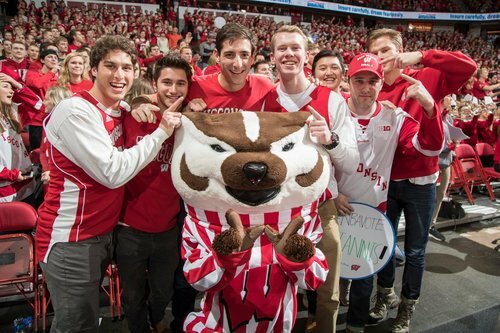 First media timeout has Wisconsin leading 9-7. Happ with 4 pts. Both teams shooting over 50% from the floor. #Badgers lead 9-7 at the first break. Happ with 4 points, 2 rebounds and an assist (and two turnovers). Wisconsin jumps out to the early lead behind 4 points, 2 rebounds and 1 assist from Ethan Happ. #Badgers 50% FG. U16 (15:37): #PSUMBB down two, 9-7, shooting 3-5 from field to start the game. #Badgers Happ 6-9 from FT line at Minnesota. Is 2-2 tonight. UW has a 9-7 lead with 15:37 left. #Badgers lead 9-7 early. Jordan Hill about to check into the game. Playing time has increased recently. 2nd guy off the bench tonight. Hill, Koenig, Iverson, Hayes and Illikainen out of the break. Koenig is like scorched earth hot. Koenig Kounter up to two. 12-7 Badgers. #Badgers have subbed in Iverson, Hill and Illikainen. Trice did not have a good practice yesterday.